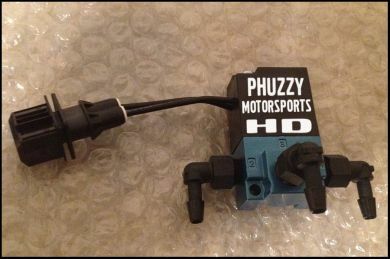 The Phuzzy Motorsports Power Package includes the complete PhMIC kit and the 3" Bolt-on High-Flow Downpipe. This modification produced a significant increase in wheel horsepower even with stock ECU software. It produced a consistent gain across the entire curve, and increased up to 28whp more than stock by the time it reached redline. See Links Below! 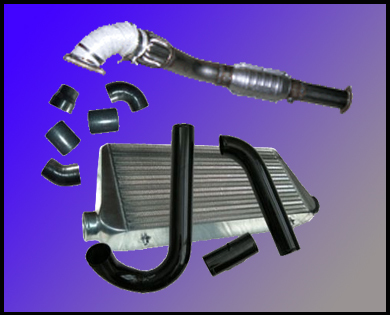 Installation Service Disclaimer: We are very capable of installing the downpipes in the shop; however, due to the dramatic heating/cooling of the bolts on the turbo flange, there is a chance that one (or more) of the bolts may break and will require further repair. In the event of a bolt break, we will repair with Clamp-A-Stud clamps which are considered to be a permanent fix. When the bolts are removed successfully, we will replace them with studs and brass nuts with high-temp anti-seize to prevent any future worries. We are not responsible for re-drilling and tapping of broken bolts.